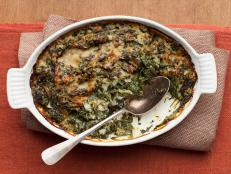 The turkey and heavy sides like mashed potatoes get all of the glory around Thanksgiving, but we know that the key to a successful holiday meal is all about balance. 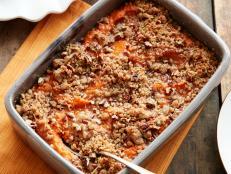 Try out some of our favorite Thanksgiving salad recipes, because it's a marathon, not a sprint. 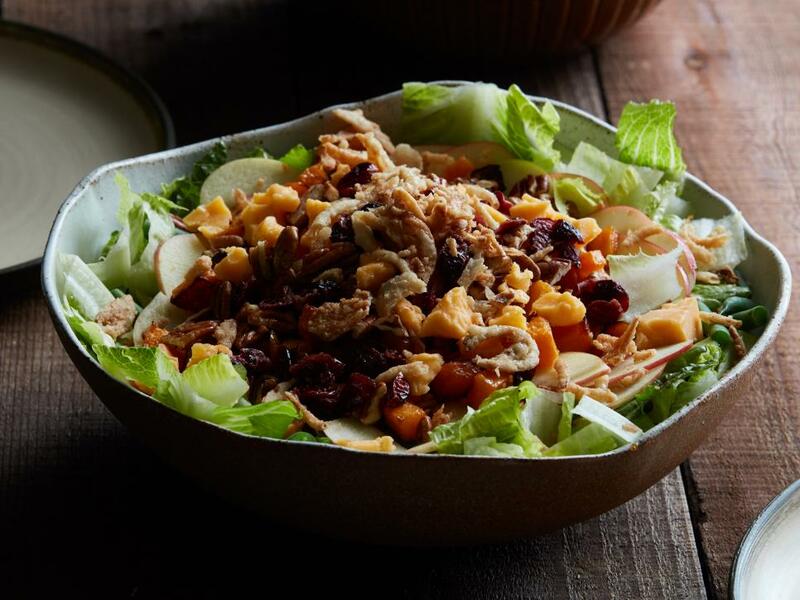 This loaded salad contains a bounty of fall flavors and textures, earthy pecans, crisp sweet apples, sharp Cheddar cheese, chewy dried cranberries and everyone's favorite topping: crispy fried onions. 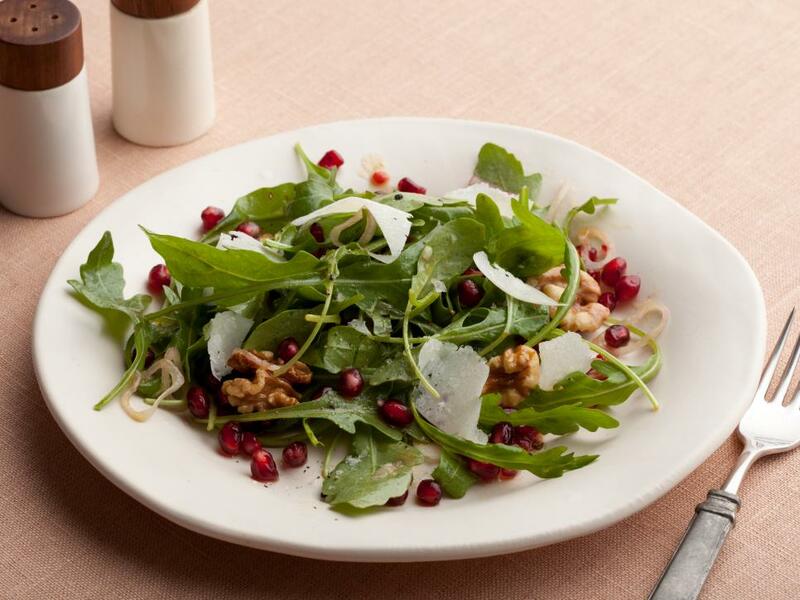 Tyler uses homemade vinaigrette to dress this fall salad, which gets topped with fresh pomegranates and walnuts. 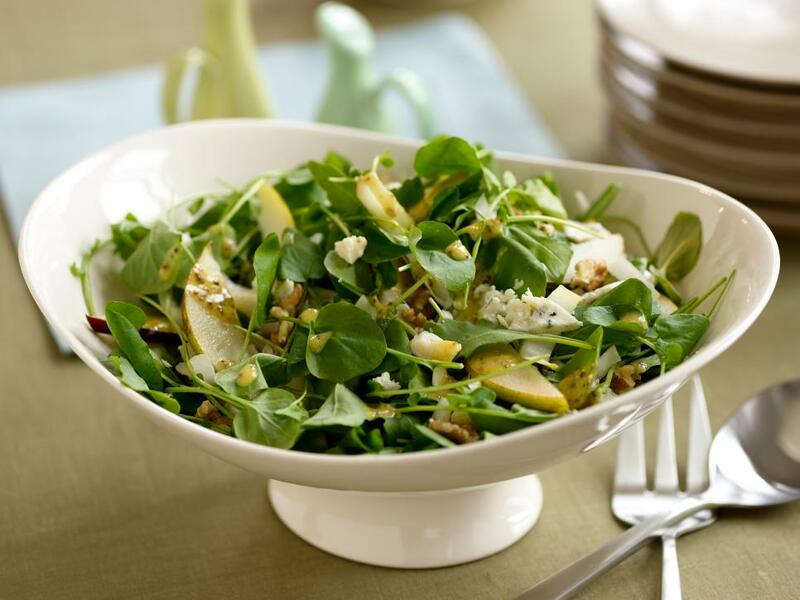 Top a crunchy pear, watercress and arugula salad with toasted walnuts, pecans, almonds or cashews. 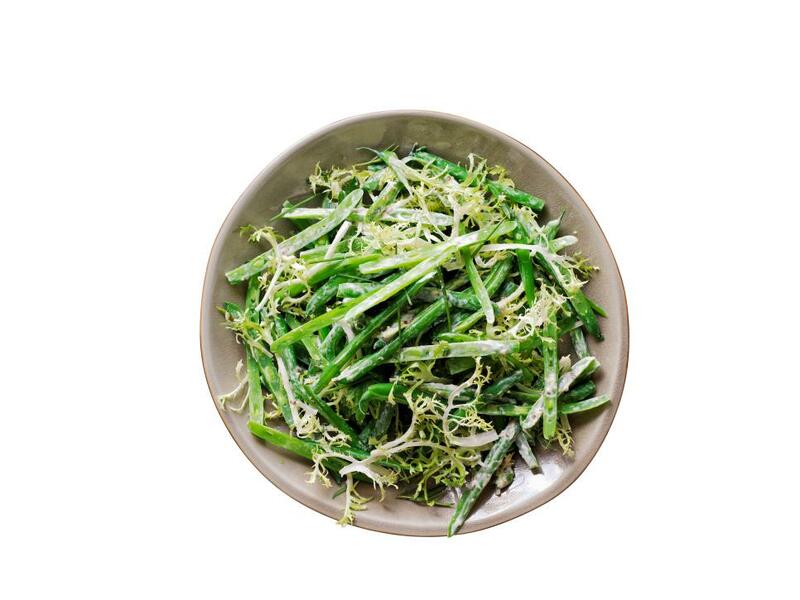 A salad composed of crisp and tender green beans, mustard-creme fraiche dressing and a bunch of fresh herbs tops any leafy green contender in the spread of Thanksgiving sides. 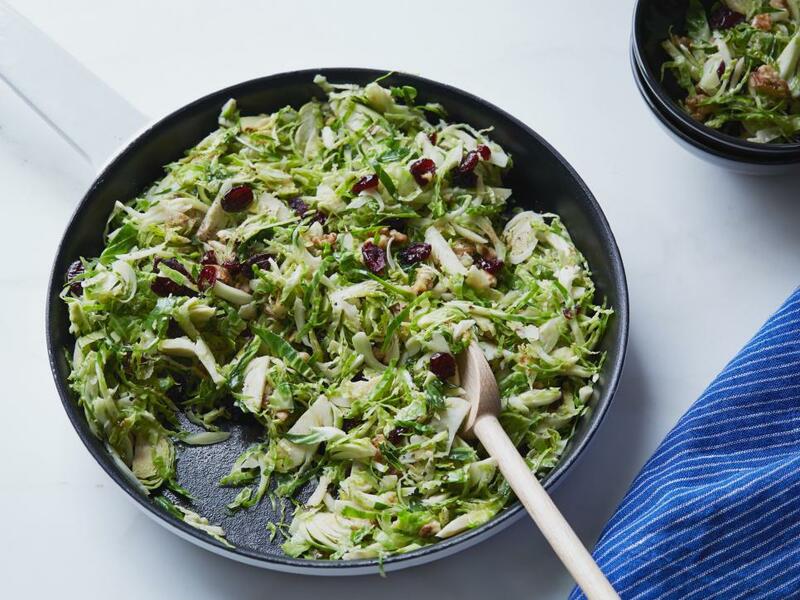 Instead of serving the Brussels sprouts whole this year, try them shredded and tossed with crunchy chopped walnuts and sweet dried cranberries. While sauteing the sprouts, add some nutmeg for a hint of autumnal spice and aroma. 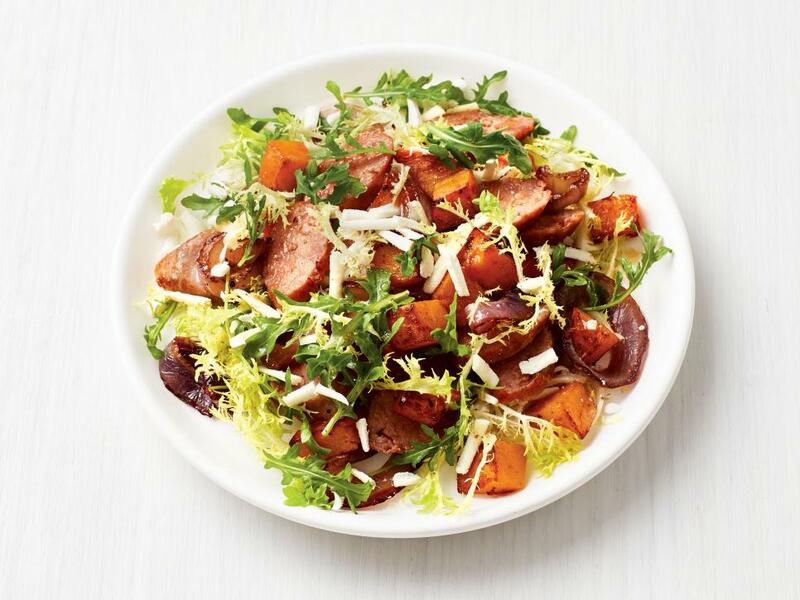 Put a hearty twist on the ultimate fall salad by adding sweet Italian sausage. 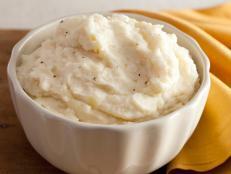 It’s filling enough to hold you over until turkey time, but not so heavy that you’ll pass on the mashed potatoes. 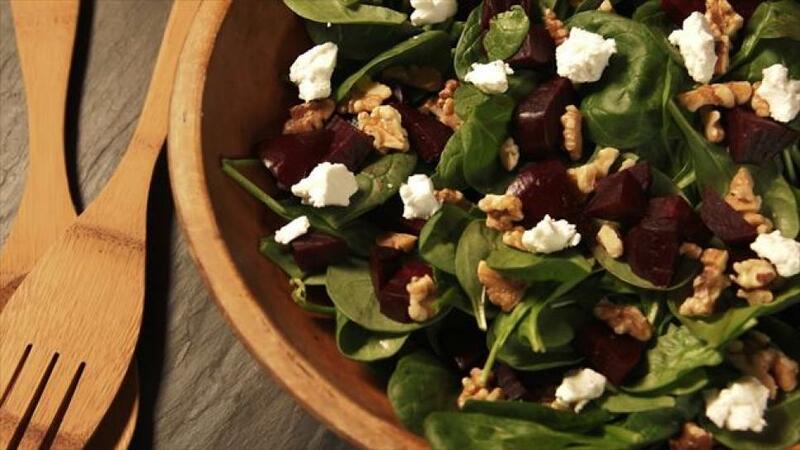 You can roast the beets in advance for Nancy’s simple salad, then just whip up the vinaigrette and toss with the additional ingredients when you’re ready to eat. 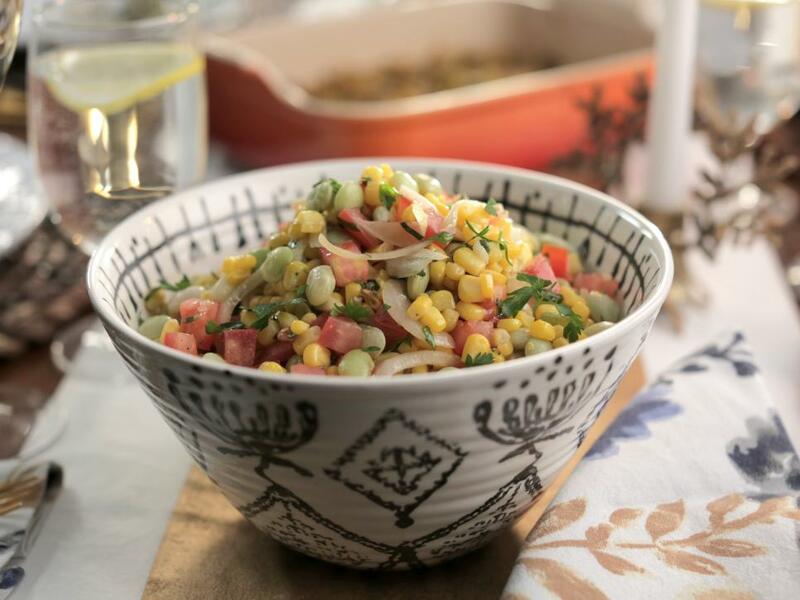 Valerie’s colorful salad is a winning combo of tender lima beans, corn and ripe tomatoes. 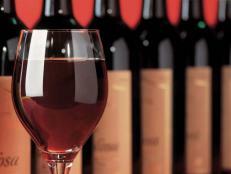 Seasonal spices, like sage and nutmeg, add a touch of cozy flavor that fits right in on any Thanksgiving table. 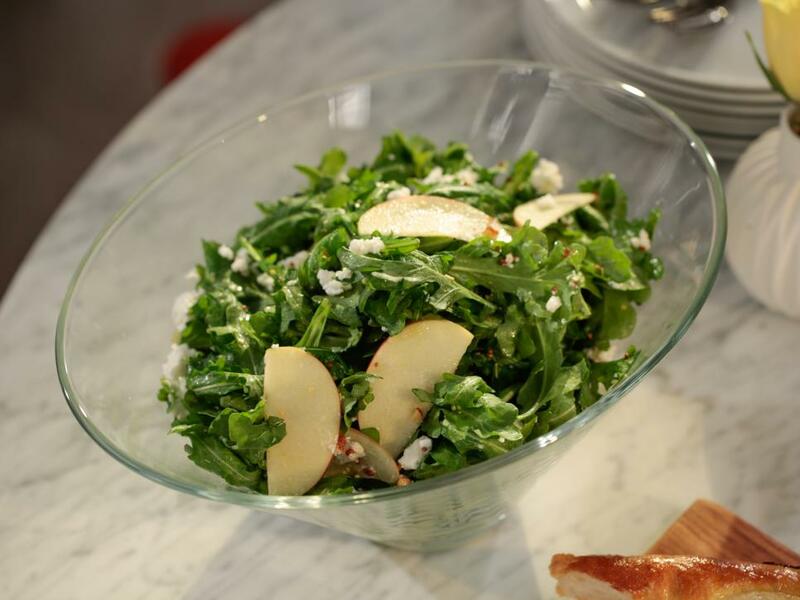 Katie’s salad is a wonderful mix of flavors: She combines four different veggies, sweet apple and pistachios to make this crunchy salad. 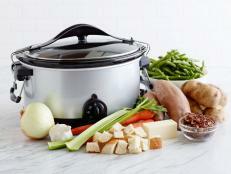 The whole thing is topped off with a creamy peanut butter dressing. If you have an almost-empty jar of peanut butter, use it to make the dressing — just pour in the remaining ingredients and shake. 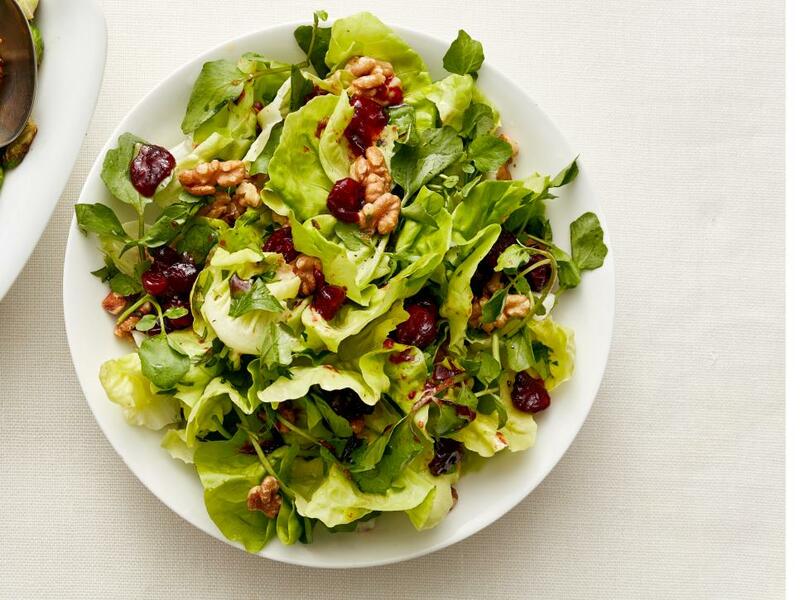 Look out, turkey: Giada’s beautiful salad is guaranteed to steal the show. 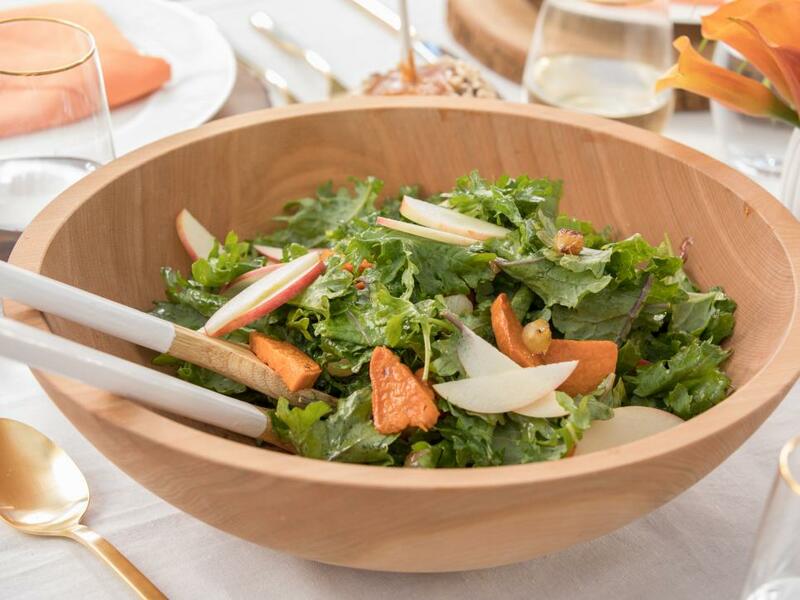 She takes roasted sweet potatoes and pearl onions to the next level by tossing with kale, apple and a pomegranate vinaigrette. 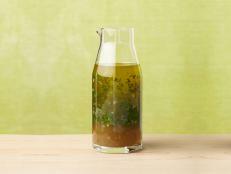 Giada says, “homemade dressing always elevates a simple salad.” To make this easy dressing, she whisks together whole-grain mustard, olive oil and apple cider vinegar. Don’t have apples on hand? 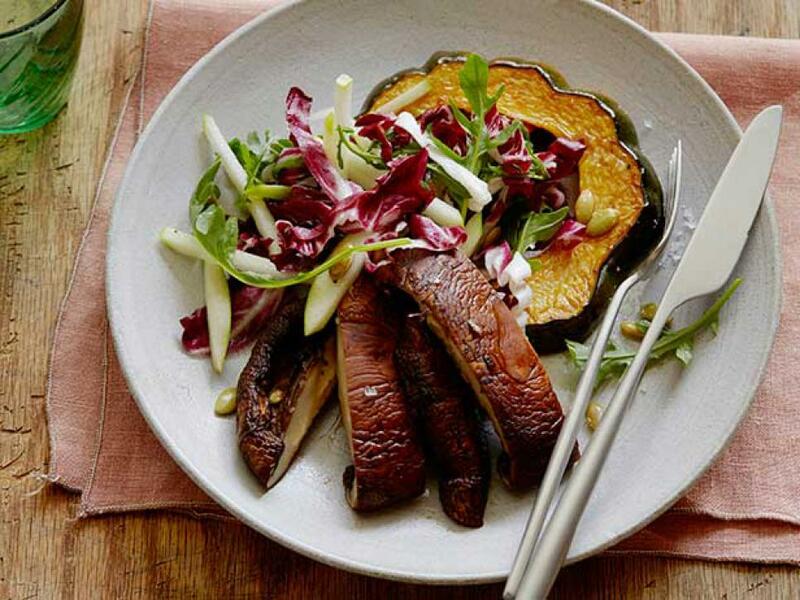 This salad works just as well with pears. 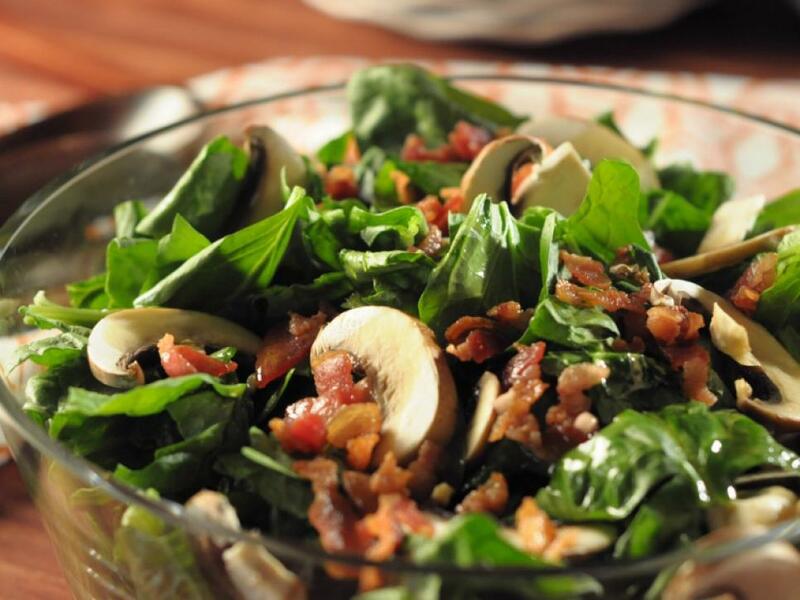 Treat your taste buds with Trisha’s spinach salad. 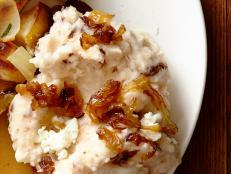 She adds crispy bacon for a smoky crunch, then rounds out the dish with a quick garlic vinaigrette. 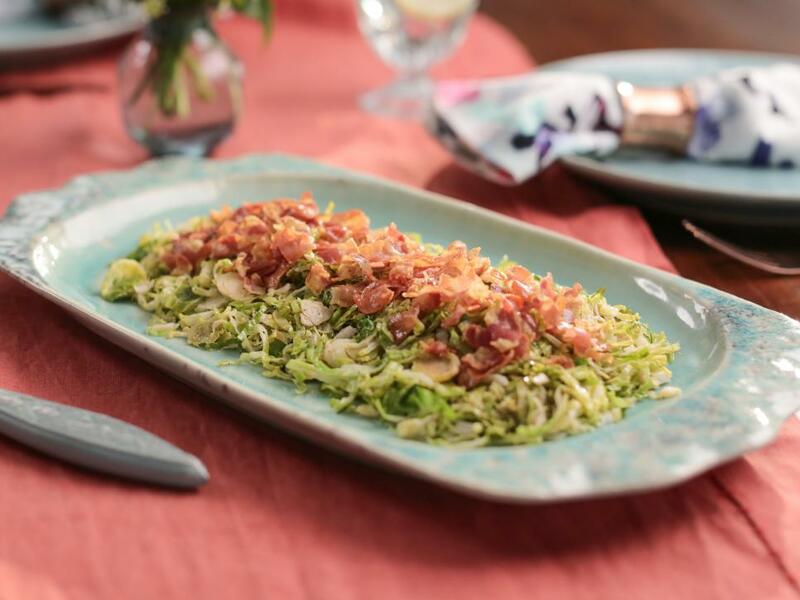 Valerie’s warm salad couldn’t be simpler — she sautés smoky pancetta, then cooks shaved brussels sprouts in the same pan. 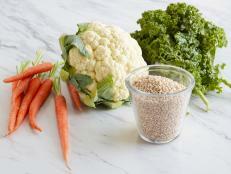 A drizzle of red wine vinegar is the only dressing needed with this savory dish. 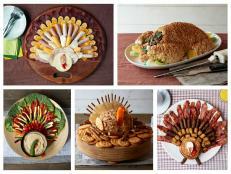 Already have plenty of veggies for Thanksgiving? 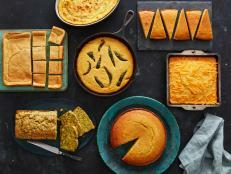 Give this grain-filled recipe a try. 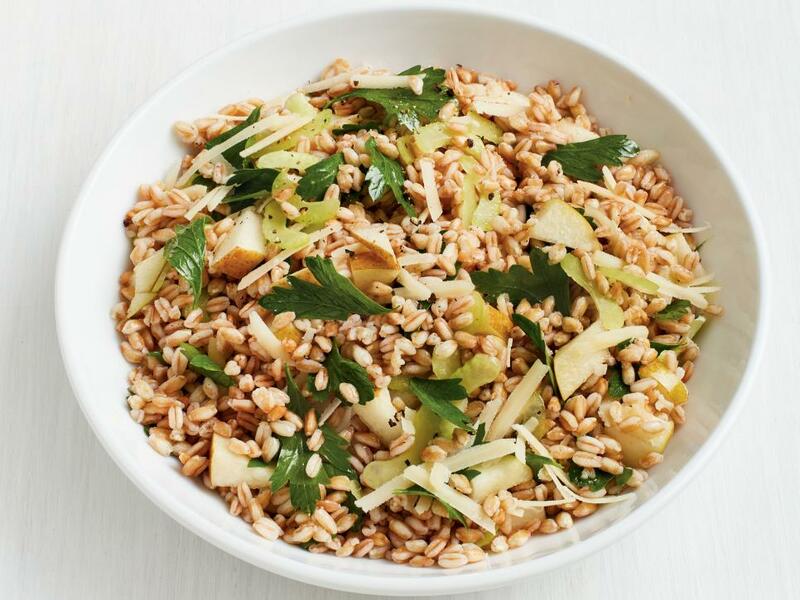 Farro serves as the heart-healthy salad base, while pear and celery add fresh flavor and a yummy crunch. 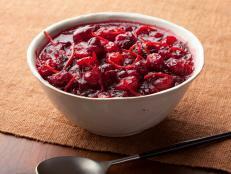 The key to this salad is the cranberry vinaigrette: it’s sweet, slightly tart and really livens up the dish. 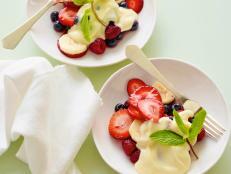 The berries are cooked in honey and water first, then mixed with olive oil and vinegar to make a smooth, silky dressing. Ree tosses curly kale with a balsamic vinaigrette, then tops off the salad with butternut squash, pine nuts, prosciutto and thinly shaved Parmesan. 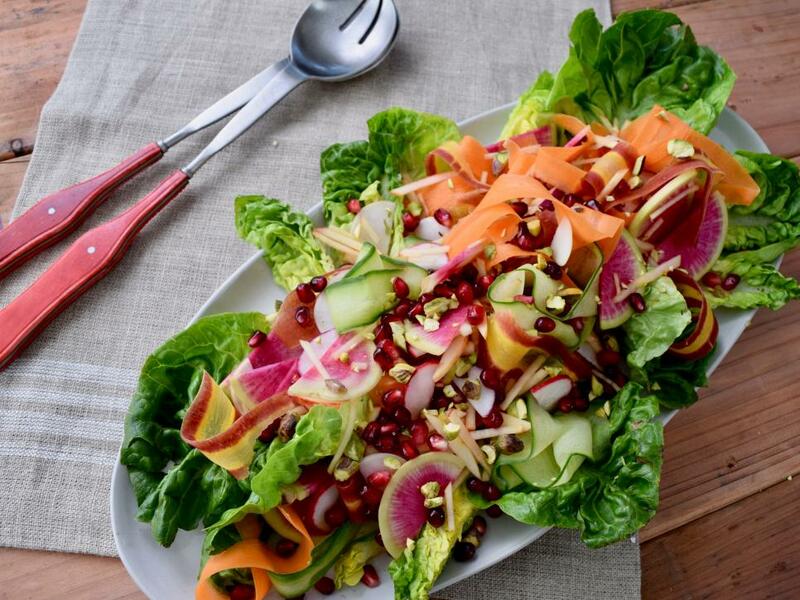 To wow your Thanksgiving guests, serve this gorgeous salad on an elegant, elongated platter. 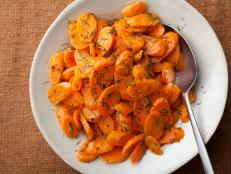 Ina puts an autumnal twist on roasted carrots by caramelizing them with maple syrup. 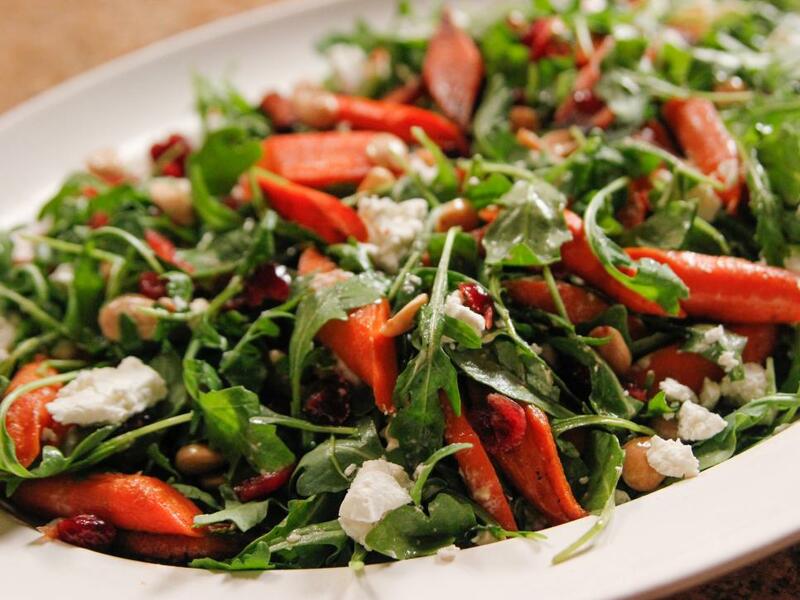 She finishes her five-star salad by tossing the carrots with arugula, goat cheese, cranberries and almonds. 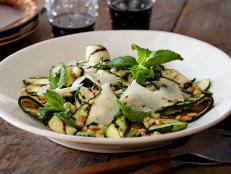 You won’t believe how tasty this sweet and savory salad is. 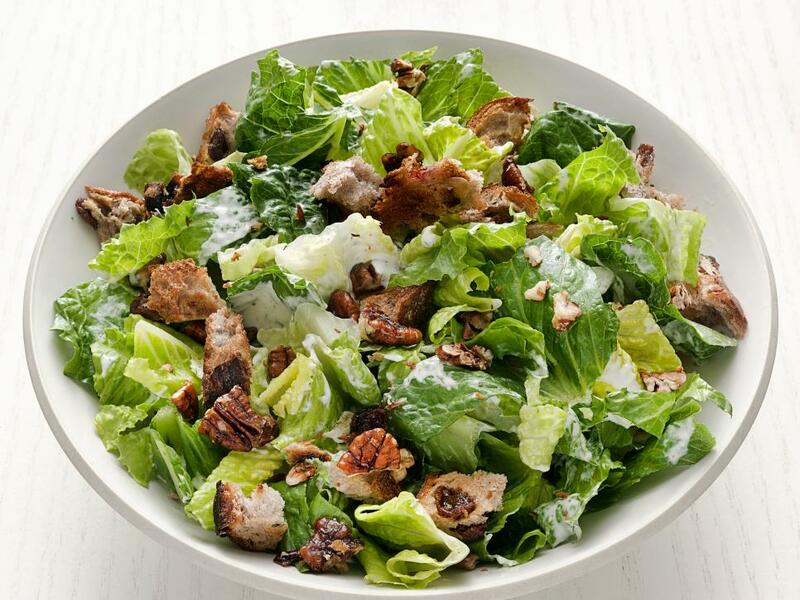 Chopped romaine is tossed with a simple ranch dressing, then mixed with raisin-walnut bread croutons and candied pecans. 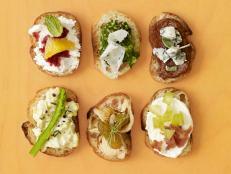 Serve as a fun first course on Thanksgiving, or whip it up to pair with leftovers the next day. 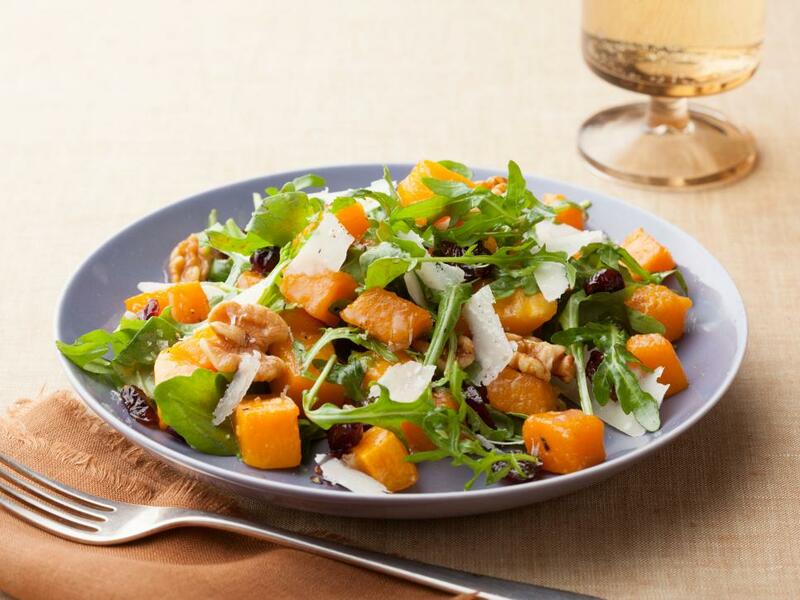 For a salad full of fall flavors, serve roasted butternut squash on top of baby arugula with a few shavings of nutty Parmesan cheese.